The beginning of year 2011 was marked by the crisis of the last bastion of non-democratic regimes – the only geographical region, which by the words of Larry Diamond, historically had never experienced democracy . The fall or crisis of autocratic and hybrid regimes of the North Africa raised many questions and dilemmas, which international community and the EU will face from now on. The significance of timing of the external reaction to the quickly and dramatically developing events in Libya, has stressed necessity of preparedness of the EU to the possible similar cases In the future. There is no question, that the events in the North Africa were driven domestically, and the power of the developed urban middle class in combination with the successful utilization of the modern technologies, such as internet constituted major engine of the fall of the autocratic regimes, which seemed to be stable and perfectly “ legitimate” from outside. However, the events also pose question how much the soft power of the EU or European neighbors and the international environment contributed to these developments. The effect of the international environment is an ambivalent factor. On the one hand, extensive labor migration to Europe from some of the North African states have a stabilizing effect on domestic situation in their home countries, as allow to reduce the tension caused by unemployment. On the other hand – there is a tremendous effect of the influence of the democratic model through the people-to –people contacts. While according to many observers, this was a failure of the development policy in the region, the effect of the European soft power could have been channeled simply because of geographical neighborhood. Although divided by the sea waters, there was an intense communication- either through labor migration or trade and tourism. This is in contrast with the situation in the Eastern neighborhood, where the only democratic country around South Caucasus, squeezed between Iran and Russia, is Turkey. But Turkey has been struggling with its own domestic problems and long accession negotiations with the EU for decades and lacks resources to invest in reform process in the neighborhood, while major flow of labor migrants from the South Caucasus is going to Russia. Russia, not unlike France, or Italy in the Mediterranean, is a soft power actor in the “ near abroad” too, but in a drastically different way, than France or Spain, as uses support for the autocratic regimes as one of the remaining instruments to preserve her influence there. The leaders who “ dare” to choose a democratic way are severely punished, as it happened to Georgian leader Micheil Saakashvili. The fact, that democratic leadership of Georgia is perceived by Russia as even more dangerous than independent energy policy of Azerbaijan’s leader signals importance of political regimes in the regional loyalties and alliances. Yet, the difference between Northern Africa and the South Caucasus is not just geopolitical, expressing itself in the unfavorable surrounding and neighborhood, lacking developed democratic states and having instead ambitious autocratic former metropolis. The colored revolutions of the East had to overcome resistance of the Soviet legacies of corrupt totalitarian institutions, such as education, bureaucracy, withdrawn polity and self interest based and alienated from its people leadership, along with uprooted elites- result of the formation of the “new Soviet people”. The other peculiarity , which adds to political stagnation of the post-Soviet regimes, is the oil based economies of EaP member Azerbaijan and its Caspian neighbors -Russia and Central Asia states. Although the ratio of the natural resources per capita is far from the one in Kuwait or Saudi Aravia, the availability of sufficient resources to feed the strict patronage and to buy off social and political support of part of the population, allows to create seemingly stable” status quo” similar to that which was observed until recently in Libya. This nature of the oil based economies proved to be futile, especially that business interests of the European actors which tended to reinforce culturally deterministic approaches to the Arab political regimes, covered increasingly waning autocrat’s legitimacy. This put the EU abruptly before necessity of reacting to quickly developing crisis situations in most of the North African states. However, the importance of the historical moment is that very same Arab revolutions provide the EU with an excuse and a reason to adjust its instruments in relations with hybrid or autocratic regimes, urging a necessity to develop more calibrated approaches. What are the lessons for the EaP and Eastern neighborhood? First, it is way too premature to assume that the struggle with the autocratic leadership and Soviet elites is over. Even the states, who overcome major legacy of the Soviet regime – falsified elections, due to the weak society and institutions of checks and balances are not secured from the reverse developments. The electoral democracy, as the main achievement of colored revolutions in Georgia and Ukraine , was only one part of the democratic changes in the country. Although the cooperation of the EU and the US with ruling elites, who are open to reforms and proved to be consistent in their pro-Western course is justified – like in case of Micheil Saakashvili, in both Ukraine and Georgia absence of strong institutions of public control over the rulers lead to the currently observed abuses of power. In addition, in countries, which economices are based on oil and gas extraction, the ruling elites, such as Azerbaijan, live at the expense of oil rents, so the state and its citizens do not have a usual link through tax collection. All this makes it imperative to invest in institutions. The other question is how. Obviously, often, to preserve beneficial “status quo” ruling elites would rather imitate reforms and in such cases financial instruments of ENPI, such as budget support, might turn into waste of money. This effect is even stronger due to the “ resource nationalism” developing in the oil rich states, as financial incentive of ENPI is undermined by the significant inflow of the oil revenues to the country. However, the temptation to reduce agenda of relations to pragmatic interests and “easy cooperation”, especially, in the oil rich states, which are partners in EaP may leave people’s rich reform potential on the margins of these relations and overlook the underlying political dynamic in the country. That is to say, that resistance to change of ruling elites does not mean incapacity of people to perform liberal democracy and being European. 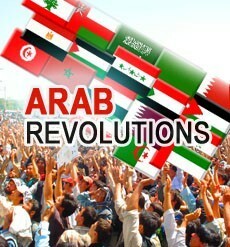 The wave of Arab revolutions in this regards “helps” the EU, providing for a convincing argument in favor of direct support to the society versus state, building institutions from below, which would counterbalance the unlimited power of rulers and at the same time prepare society for the rapid changes, if they take place. Secondly, the conditionality and other stimulating principles, such as peer competition may be turned into a useless tool, if the country ( or better to say, its ruling elites) is not politically or financially motivated. Meanwhile, in all cases of the Eastern partner-states, the society , unlike the “state”, at least its active part- demonstrates much greater desire to integrate in the EU and common identity, including shared values , with the EU. At the same time, the society is significantly underfunded, as compared to the state, especially, to the ruling elite. This contrast is even sharper in case of oil rich state, which functions based on the strict political patronage mechanism . Thus the peer competition in such case may be substituted by the “state-society competition” and “adjusted conditionality” in the states were autocratic or hybrid regimes show low effectiveness in implementation of the Action Plans and obligations within the framework of relations with the EU. The direct support to civil society in such country may be an option ( instead of withdrawing the aid to the country and redirecting it to the other partner-states) in implementation of conditionality in such cases, when the government either does not have “an absorption capacity” or demonstrates poor implementation of the agreements with the EU. This move would be totally justified from all points of view. First of all, it will address the imbalances between state and society, which exist in every post-Soviet state and would compensate the void in terms of institutions of checks and balances, establishing limits to the power of state. This will extend not only to the NGOs, but also to an independent media, political parties, powerful independent minded intellectuals. and other. Secondly, it will prove sincerity and seriousness of the EU in promoting its reform agenda in the Eastern neighborhood – a message being important both for the government and the civil society. Thirdly, it will stimulate the government to be more diligent and serious in implementing its EaP and ENP obligations. The EU cannot afford another series of crisis of leadership legitimacy along its Eastern borders. The events in Arab world is a warning to all the external actors ( besides the autocrats themselves, of course), who comfort themselves by the theories of cultural relativism or consensual autocracy ( or dictatorship), and rely on pragmatic interests to lead “to stability and prosperity”. It is time to take seriously both state and society, developing relatively equal approach to each, both politically and in terms of application of the available instruments. This may include amendments to the major documents, obliging the governments and the EU delegations ( in order to make the process of negotiations more transparent), to include non- state actors, independent experts into the consultation and negotiation process on major agreements, such as Association Agreement and DCFTA. It should be accompanied by the visible increase of funding through EHDR directly to the civil society and other institutions and non –state actors, so to balance as much as possible finances directed to the state within the ENPI through such mechanisms as budget support. The conditionality principle should be applied to the national governments vis-à-vis their civil society ( as well as media, non-state actors, political parties), when the EU financial aid, if not spent effectively , rather than being cut to the country, is re-directed from the government to the society.